THE FOLKS OVER at Rolling Stone magazine came out with a bold statement this week — according to the rock-mag’s writers, our own U2 could well be the longest-serving rock band on the go at the moment. They put a few provisos in when drawing up their list, it should be noted. Taking all of those factors on board, the Dublin four-piece come out on top, with 36 years’ service. 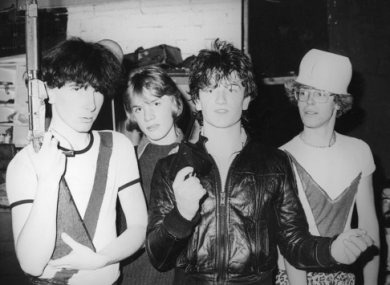 The Edge’s older brother, Dik Evans, was in the original line-up, when they traded as ‘The Hype’ — but ever since early 1978, it’s been the classic foursome of Bono, Edge, Adam Clayton and Larry Mullen Jnr. Famously, Clayton once missed a gig in Sydney in 1993 as he was too hungover to play, and was replaced by his bass technician for the concert. It’s believed to be the only time in the band’s history that all four members didn’t appear as billed. For the record, Radiohead come in second in Rolling Stone’s ‘longest serving’ list. Believe it or not, the Thom Yorke-fronted outfit are together 29 years. Hip-hop group De La Soul have had the same line-up for 27 years, while Swedish rockers The Hives are together a quarter of a century. Bands like Rush, Green Day and ZZ Top who “all had drummer turnover early on” don’t make the magazine’s list. Obviously, there’s no appearance by heritage acts like The Rolling Stones, The Who or other groups formed in the early 60s, due to deaths of band members, line-up changes, or long periods apart. Email “Rolling Stone reckons U2 are the longest-serving band on Planet Earth”. Feedback on “Rolling Stone reckons U2 are the longest-serving band on Planet Earth”.